The Burling family has been researched back to 1687 and that family is the source of this family tree. There were ten children in the family and the descendants of the eldest are followed in a direct line to Allan, who came to Australia in 1857. It then traces the descendants of Allan through to 1991. Some names may be missing and apologies are made for this fact. The problem has been that contact has not been easy and sometimes people have failed to respond to the appeal for information. At this point I will list those early members as it may assist those who might be researching other branches of the family. Francis married Margaret Emmonds 19 Oct, 1742, she was buried 27 Dec, 1749 and he remarried Francis Hiefer 10 Dec, 1752. Moses: 3 Jul, 1803, buried 1 Jan, 1819. Dates for Henry and Isaac are not known as records covering 1796 to 1802 are missing, but it is known that they were brothers of Aaron and John. John married Elizabeth Flack and Henry married Ann Flack. 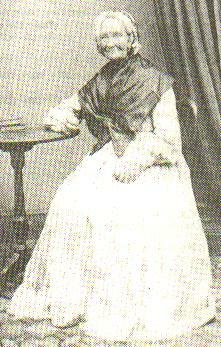 Mary Ann: born 17 Dec, 1837. Allan married Mary Peachey 4 Apr, 1857 at Fen Ditton, Cambridgeshire and sailed for Australia on the "Mary Pleasance" arriving at Moreton Bay 8 Aug, 1857 where they joined Mary's brother. Little is known of the next two years but it is known that a son and daughter were born but both were deceased by the birth of Eliza Anne on 13 Sep, 1859 at Maitland in the Hunter Valley. Aaron Charles: 3 Feb, 1879 at Tamworth. Allan apparently worked as a labourer in the Hunter Valley, slowly putting together enough money to start as a carrier. It is known that he was on the goldfields at Bingara in 1863, as this was where William was born, but whether he was chasing the gold or bringing in supplies I have not been able to discover. It was then that he began carrying between the railhead in the Hunter Valley and Warialda, having his base wherever the railhead was. Eventually he took up a selection on Mosquito Creek, in the Warialda district, from where the family continued the carrying in conjunction with the farming and the sons taking up selections as they could. 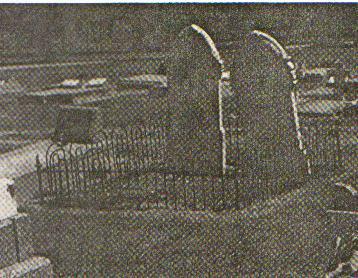 It was in the 1880's that the first selection was taken up and Allan continued here until his death in 1903 from cancer of the bowel and bladder Asthemia and he was buried in the Warialda cemetery. Mary was buried alongside him after her death just over twelve months later following an accident. Mary was driving a sulky along the track to town when she met son, George and neighbour Joe Wallis driving a wagon team along a narrow section of the road. They asked her to wait till they rounded that part as there was not enough room to pass, however she thought otherwise and proceeded to pass the wagon. In doing so the wheel of the sulky caught the wagon wheel and she was thrown out and the wagon wheel passed over her body. She suffered internal injuries and died a few days later at the Wallis home. Following her death the family still in Warialda gradually moved away, William being the only one to stay in the town. 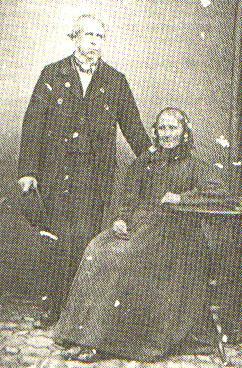 THE FIRST AND SECOND CHILDREN OF ALLAN. The first two children of Allan and Mary were deceased when the third child was born and no record of their birth can be located. Their deaths are noted on the the other members birth certificates, one male and one female but no names.